Facebook reminded me earlier that 75 people that liked our page have not heard from us in a while (about one week ago only!). Sorry for disappointing everyone as I have been busy playing Monster Hunter World! Hahahaha. 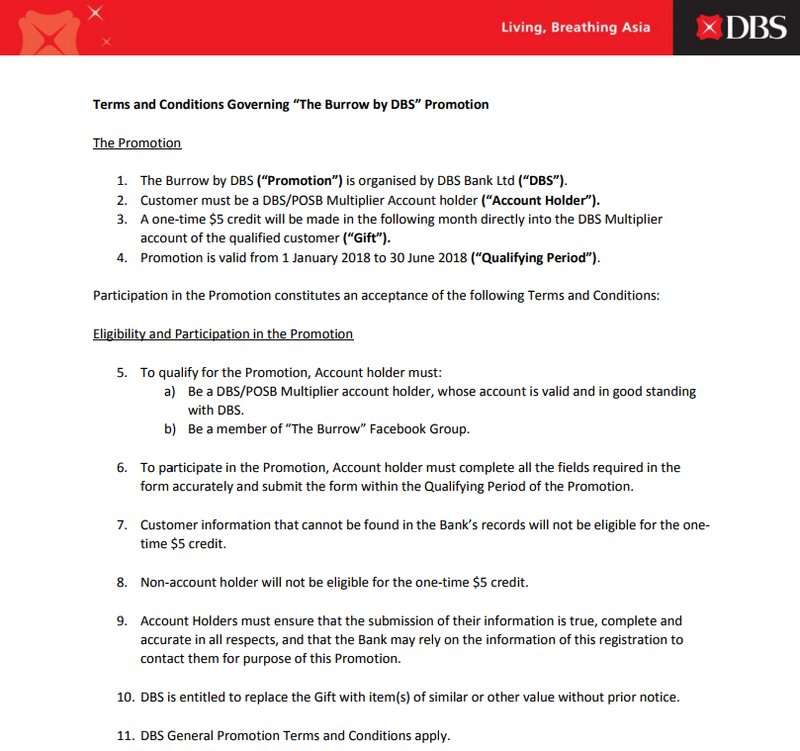 This is for all DBS Multiplier Account holders! 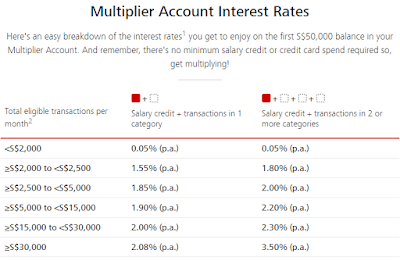 CZM and I changed our bank account from OCBC 360 to DBS Multiplier Account last year December when DBS revamped the product. There are many reviews and comparisons done for all the different bank accounts (e.g. Seedly Cheat Sheet: Best Savings Accounts For Working Adults 2018?) so I will not go into that. 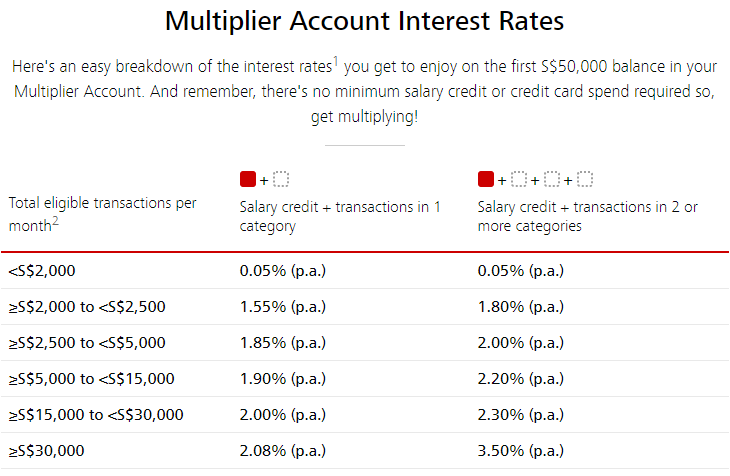 What we like about the Multiplier Account is that it is hassle-free and does not encourage/force spending (minimum spend of $X amount on credit card). One simply has to credit their salary to the account + credit card spend of any amount ($1 also can!) or any of the 3 other categories (home loan, insurance or investment). 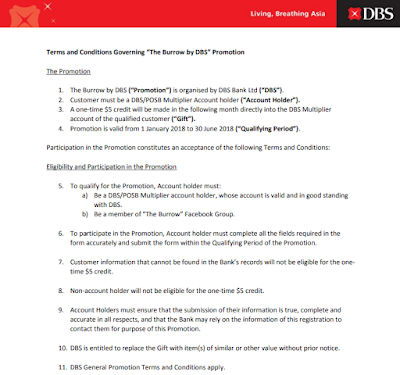 Once you have done that, you will have to fill up a form by DBS - "Help us identify you as a DBS Multiplier account holder in The Burrow". Free money! The good news is that there is no limit on the number of $5 that will be given out and the qualifying period is from 1st Jan 2018 to 30th June 2018, lots of time for you to decide if you want to sign up for the account and then participate to get the free $5. Terms and Conditions apply :) Back to Monster Hunter World! 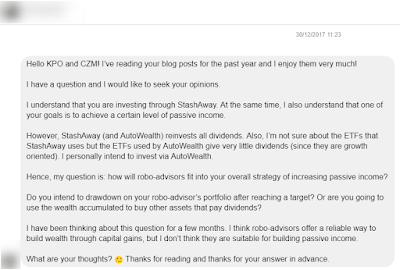 A reader asked how does StashAway fit into our strategy of increasing passive income. The short answer is it does not! If you look at our portfolio, you will see a few counters that are very red. 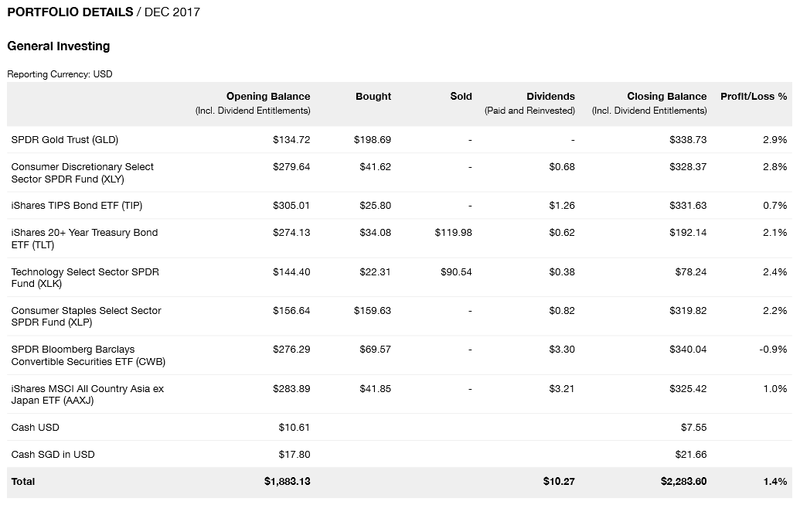 Those are some of my attempts at picking growth stocks as compared to the usual REITs/dividends stocks. When growth stocks do not meet its growth expectation, expect the share price to drop significantly! 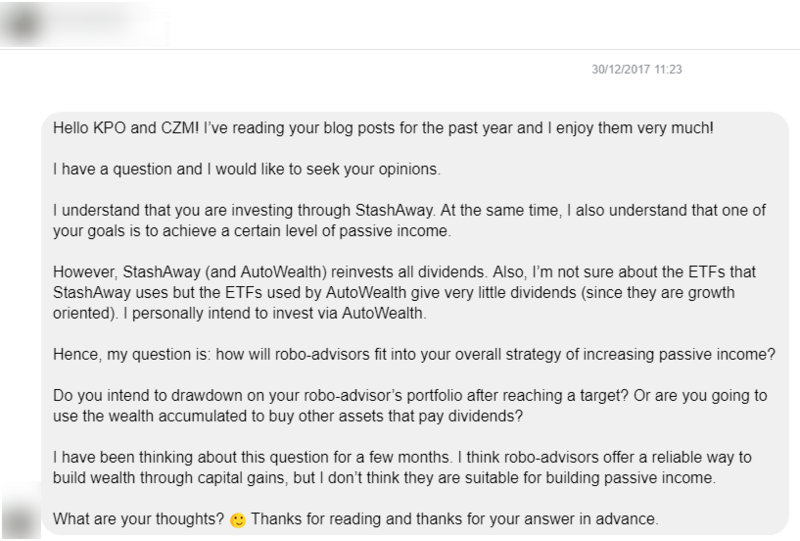 Personally, I find it extremely difficult to pick value/growth stocks and the idea was reinforced in my mind when I came across another article by Thumbtack Investor - What Makes You Think You Can Win? 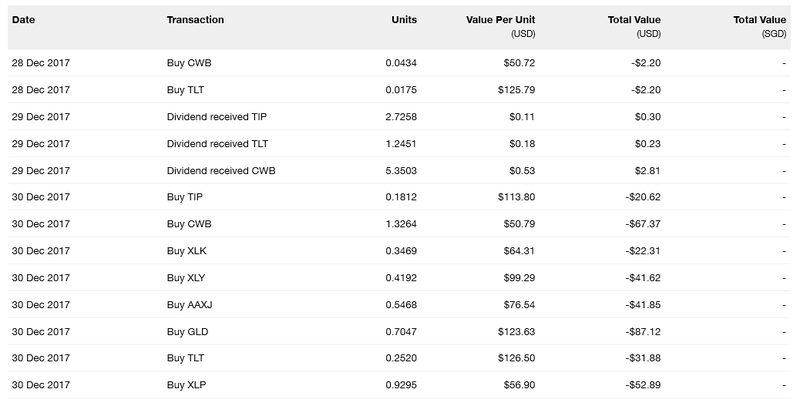 The Case For TheTrue Value Investor – LTC Corporation & S I2I Limited. Imagine the level of effort required for one to analyze a particular company, understand its business and forecast its growth. KPO just can't do it due to 1. limited/no knowledge in each and every industry/business and 2. limited time, so we have decided to outsource it to StashAway (paying a small fee in the process) while we continue to invest in REITs/dividends stocks for passive income. I find the cons pretty annoying as they have all the data but are not presenting them to the users. Regardless, I believe the pros outweigh the cons, hence the 5 stars review. Of course, do not take my word for it, do check out the other 99 reviews (65 + 24 + 11 - 1) too. 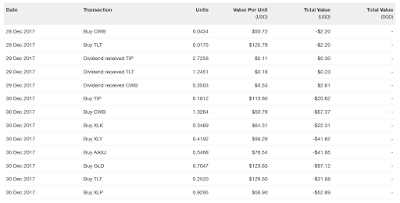 After tracking and reviewing it closely for the past 6 months, together with the increment in our salary, we are now more comfortable with allocating more money into StashAway! From $500 per month to $1,000 per month! This is how we will be automating (scheduled monthly transfer) capital growth through StashAway. 2. Around $1,000,000 StashAway portfolio through capital growth ($1,000 x 12 months x 30 years = $360,000 capital. An annual return of ~5.88% is required for 30 years which seems pretty realistic). No idea what we will be doing exactly with it (drawdown or buy other assets), will think about it when the goal is nearer. lol. It is official now! KPO has been promoted and is no longer the smallest fry in the team. lol. The best part of the promotion is not the change in title but the salary increment that comes with it. I was given an increment of more than 20%! Always thought that I would never see such increment unless I change a company. 1. Beating the CPF Ordinary Wage Ceiling ($6,000) - Going forward, we get to keep more cash! I have a spreadsheet to project our salary increment and track the actual increment which I will be sharing with the readers :) Based on our starting salary and an assumption yearly increment of 5% (I thought this is conservative but CZM thinks otherwise), it would have taken me 9 years and CZM 17 years to reach our current salary. 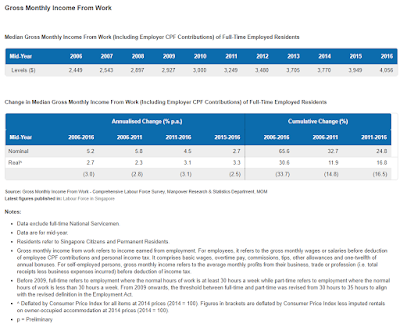 Ministry of Manpower (MOM) published a summary table on Singapore Median Gross Monthly Income From Work (Including Employer CPF Contributions) of Full-Time Employed Residents. For the year of 2016, it is at $4,056 including the employer CPF. 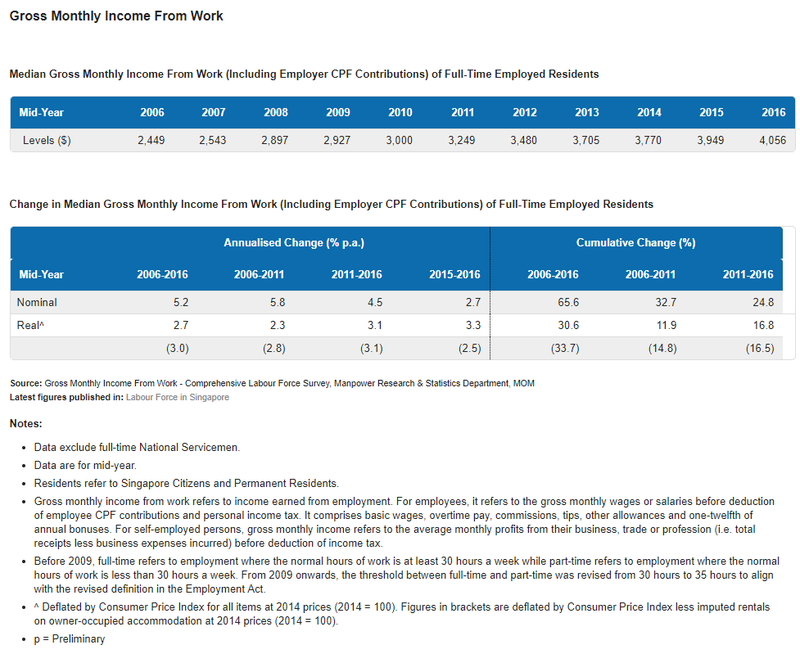 I will be using the 2016 median income as an example in the spreadsheet, excluding the employer CPF portion ($3,467) because who does that! Imagine people negotiating with HR for a higher salary with X% increment based on their current salary including the previous employer CPF contribution. lol. On a side note, CZM has taken full control of the Instagram account where she will be posting lots of food and their prices! I doubt she will be blogging anything in the near future. lol. We made our 1st purchase for the year! We purchased 6,000 units of ThaiBev (Thai Beverage) last week (9th January 2018) at $0.92. At the point of writing this article, the price is currently at $0.935. Yay! The latest news on the acquisition of Vietnam’s top brewer Sabeco sent its share price falling from a high of $0.975 on 15th December 2017 to as low as $0.90 on 26th December 2017 which is totally understandable. It is an expensive price to pay for an effective stake of only 26.3%. Vietnam Beverage Co Ltd won the bid for 53.58% of Sabeco which will be funded 100% by ThaiBev although they only own 49% of Vietnam Beverage indirectly through Beer Co. (53.58% x 49% ~ 26.3%). The method of financing has yet to be confirmed but it will definitely increase its liability significantly. Honestly, I think this is a bad deal too but this is probably the only/best way for ThaiBev to proceed with the acquisition. Sabeco is sort of "backed" by the government (The government had set a minimum sale price of 320,000 dong or $14.1 per share for Sabeco, formally known as Saigon Beer Alcohol Beverage Corp - Thai beer magnate extends SE Asia push with $4.8 billion Sabeco deal) and there is no way it will be owned externally with foreign ownership capped at 49%, hence the weird structuring. If we were to look at the bigger picture, the acquisition is in line with its "Vision 2020" strategic roadmap to create greater value and deliver more sustainable returns to shareholders. 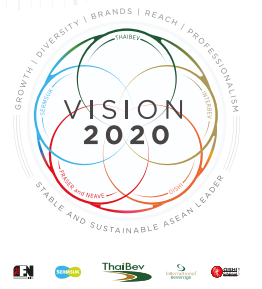 This is extracted from ThaiBev's 2017 Annual Report - To support and sustain ThaiBev’s growth, we plan to diversify our revenue streams, increasing revenue contribution from non-alcoholic beverages and the sale of products outside of Thailand. Based on the 2017 Annual Report, ThaiBev is trading at a PE of 16.36 at $0.935 - EPS of 1.37 Thai Baht ~ 0.05716 SGD which is pretty reasonable. Its NAV is 5.13 Thai Baht ~ 0.214041803 SGD and this translate to a PB of 4.37 (not so relevant/important). 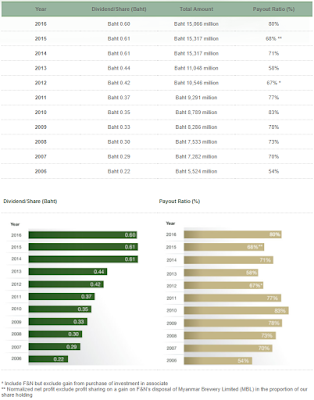 I will not go too much into the numbers as the 2016 numbers are reported based on a 9 months period hence it is difficult to compare its year-on-year performance accurately. However, a rough estimate on the 2016 numbers (numbers / 3 x 4) seems to indicate that ThaiBev did better in 2017! Out of the 708 companies listed in SGX, ThaiBev is ranked lucky 8th in terms of market capitalization (around $23 billion). It is so large that it owns 28.4% of Frasers Centrepoint Ltd, 28.5% of F&N and 79.7% of Oishi Group currently (Sabeco soon). Most importantly, ThaiBev has a dividend policy of distributing more than 50% of net profits after deduction of all specified reserve, subject to investments plan and as the Board of Directors deems appropriate and they have been meeting it very comfortably (dividend payout ratio between 50% to 80%) for the last 10 years with increasing dividends! People still need to drink during a financial crisis, maybe drink even more. lol. We see the recent weakness in share price as an opportunity to accumulate some. Will the share price drop below $0.90? Maybe/maybe not. Will the share price be more than $0.92 by 2020? Most certainly! $2.020? Hahahahaha (laughing at my own foolishness). A couple of readers have actually contacted me and ask for our StashAway referral link because we have motivated them to start investing. Unfortunately, I have been rejecting/turning down their nice offers because sharing our referral link would reveal our real identities and we prefer to keep them hidden as compared to saving a few dollars in fees. I contacted StashAway and they were kind enough to entertain me. So I am proud to announce that we have a referral link for our readers! You no longer have to go around asking friends/colleagues for one (my suggestion when I turned them down). 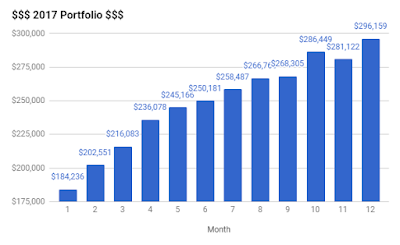 Signing up through our referral link (you will need to click on the green button "Get up to $10K Managed for Free" to signup) will provide you the exact same offer as any other referral - SGD $10,000 free management for 6 months. What do we get in return? Nothing :) This is a referral page specially created for our readers and is not linked to our actual StashAway account so we will not be enjoying the benefit of the referral programme. Honestly, that is unfortunate but the purpose of the blog is not for us to get referrals and minimize the fees. It is to motivate others to start investing, have goals in life and work towards them and most importantly, lead a happy life with their other half. We are glad to see some of that happening. StashAway did its first reoptimization for the month and you can read more about it here - StashAway Portfolio Reoptimisation. Unfortunately, USD continues to fall! 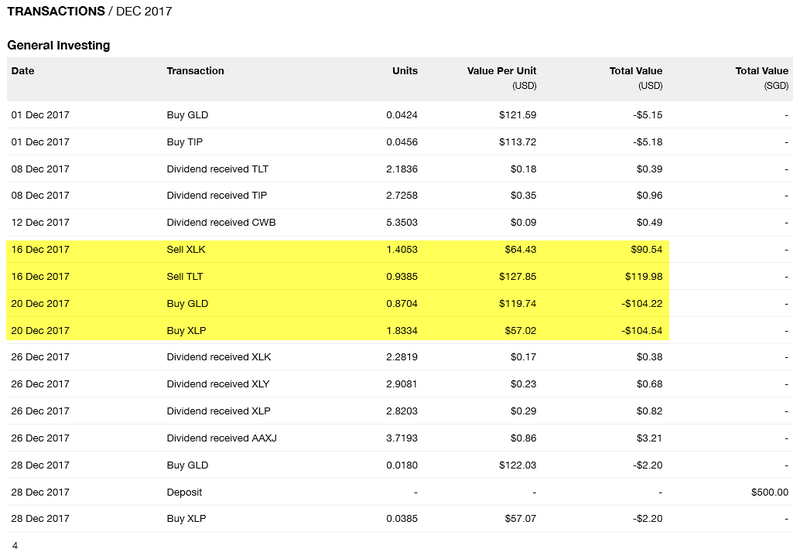 Based on the statement (29 Dec 2017), we have $53.87 profit after taking into account a -$18.69 currency impact. The first week of 2018 has been great! 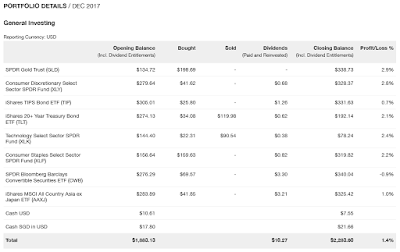 Our returns went up even more to $129.54 but so did the currency impact -$58.71. We receive USD $10.27 dividends which have been paid and reinvested. This amount of dividends would have easily offset the fees incurred till date! We see the first "SELL" transaction when the reoptimization took place. The timing was almost perfect! GLD was bought at $119.74 and XLP at $57.02 on 20th Dec 2017. The current price at the time of writing is $125.46 (4.8%) for GLD and $56.68 (-0.6%) for XLP. This month commentary: In terms of absolute P&L after fees, StashAway returns is ranked number 1 at 2.2%. Using SCB Priority Online Trading to invest in SPDF STI ETF gives the next highest returns at 1.69% as compared to using POSB Invest-Saver to invest in NIKKO STI ETF with the lowest returns at 0.67%. Although both STI ETFs are tracking Singapore Straits Times Index, the difference in returns can be attributed to the effect of fees/commissions due to the usage of different platform to invest. The same can be said when one chooses to invest in ETFs vs unit trusts/funds - fees/costs matters. We were so close to meeting another of our short term goal of having a passive income of $1,000 per month! Guess we got to try harder this year.